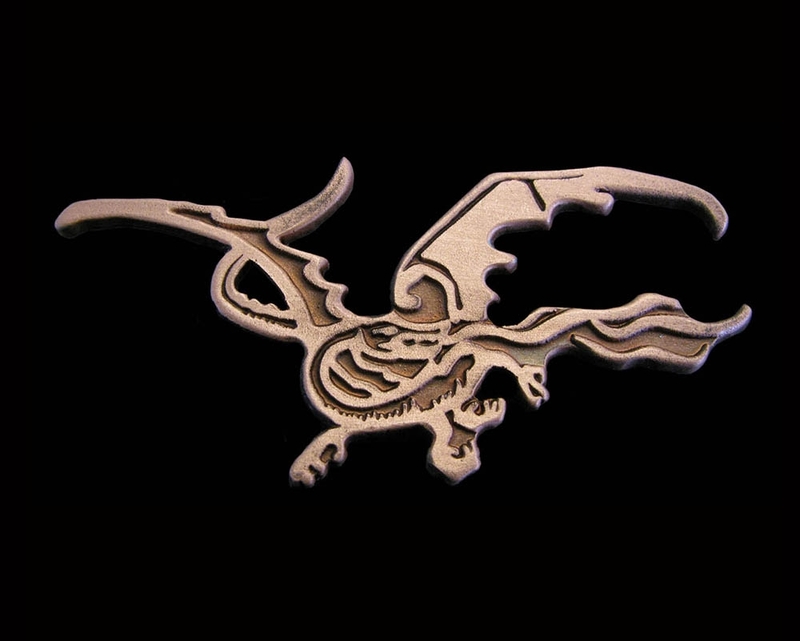 The red dragon from Thorin's Map as a lapel pin or brooch. Absolutely gorgeous pin badge, the detail and style is meticulous and perfect! It really relates to the maps from the Hobbit book. The pin is made from metal (spincast out of 99% pure zinc) and electroplated in an antique copper finish. It has been hand buffed and lacquered for longevity. It has two pins with fasteners on the back so it stays securely where you place it. It comes mounted on a backing card inside a zip-loc bag.